This section will feature images of workings which have been scanned from 35mm Film negatives and will be updated as time allows. There are also some digital images as well. 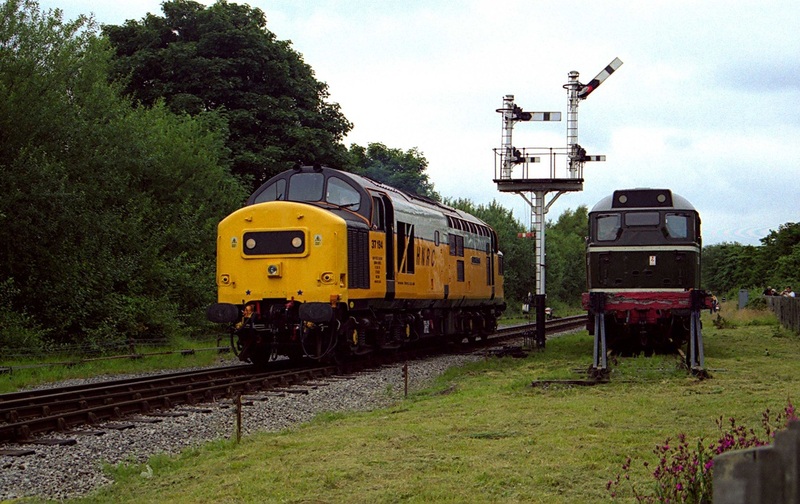 HNRC co 37194 appeared at the East Lancs Summer Diesel gala in 2003, and is seen here passing D5600, approaching Ramsbottom station.